Sometimes you don’t want to plan a date, your sweetie doesn’t want to plan a date, and your mom hasn’t planned your dates since you were a lower class-men in high school… Trouble. 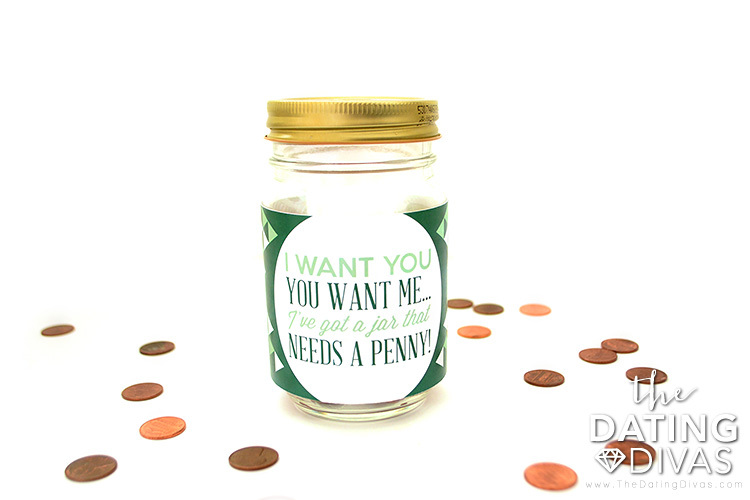 Don’t worry my friend, for only 1 single cent the Dating Divas have fixed your date night woes with The Penny Date! The best news is you don’t even have to pay us! That penny is a key player in tonight’s adventurous date and it is going home with you at the end. 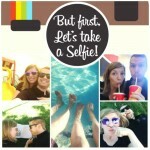 This cute date idea will be an adventure for both you and your spouse come your next date night. 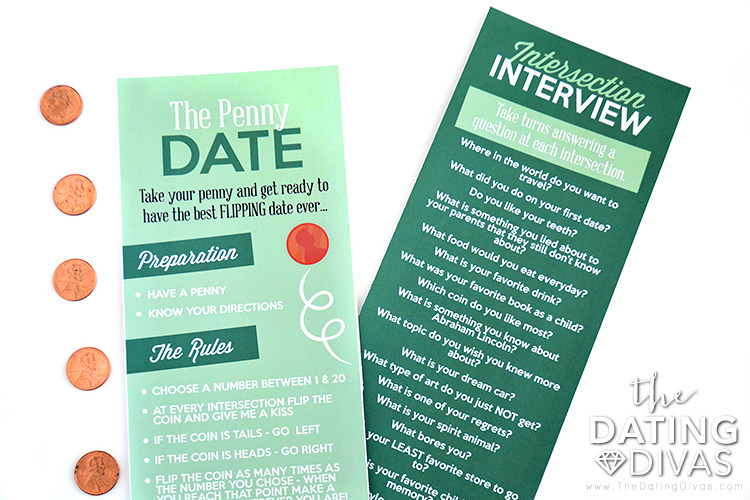 The penny date idea is pretty popular, simply search on Pinterest and you will find all sorts of pins telling you the basics of the night. 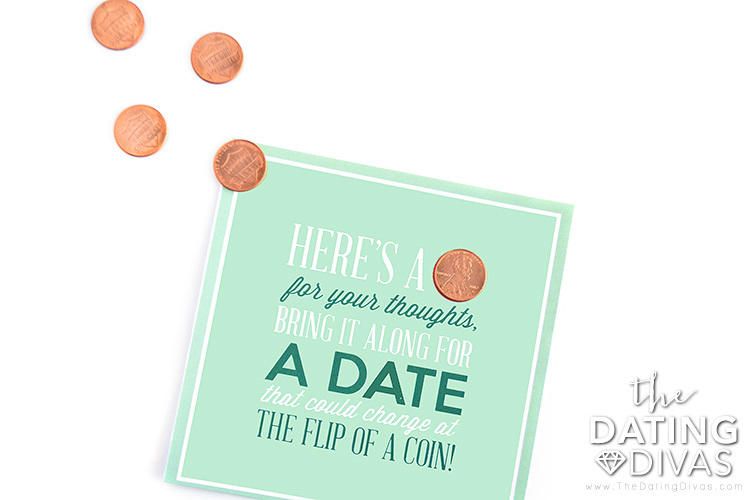 We loved the idea of the penny date so of course, we had to add our own little spin. 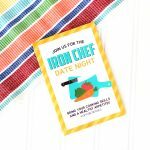 If you love Pinterest as much as we do, this would be a good one to pin and save there for any time you need a quick date idea! The next step is super easy. 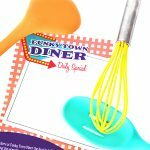 Print the instructions and a little game we came up with, Intersection Interview! Your date will choose a number, and for each intersection, you can cross off that number on the tracker at the bottom of the instructions AND ask a question. This will make your spontaneous date night a little enlightening as well! 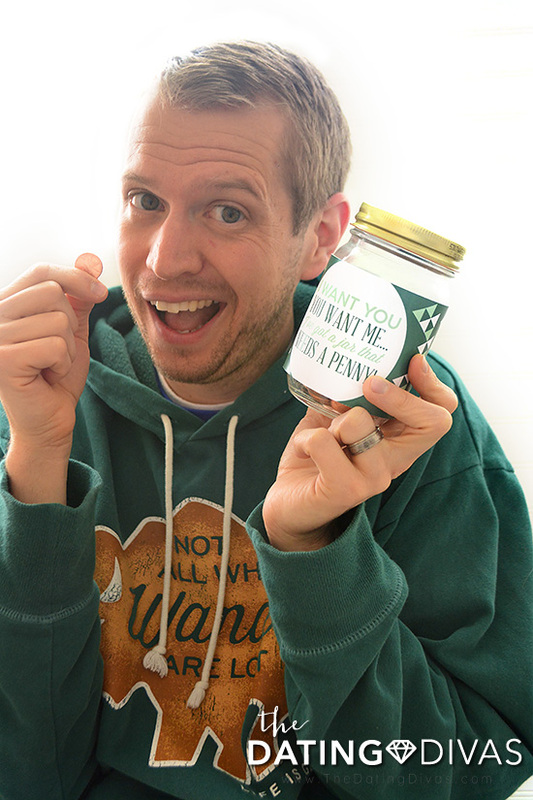 We have one more thing up our sleeves for this penny date. Have you seen those cute pins about the days that changed everything? We wanted you and your spouse to be able to celebrate what makes YOU uniquely YOU! 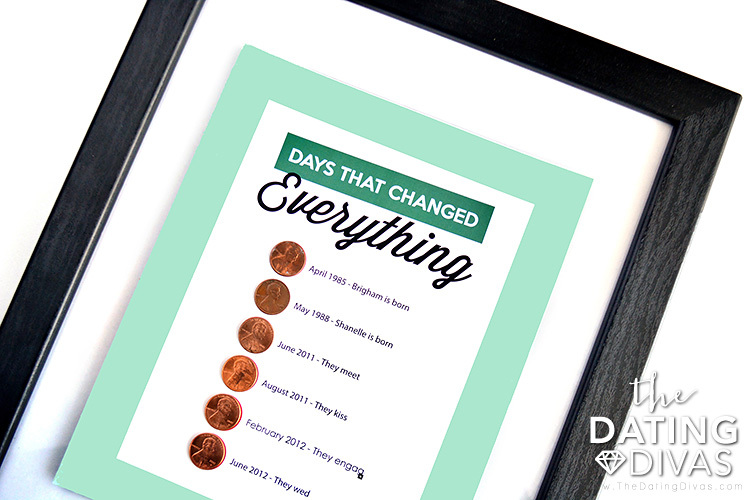 Carisa was amazing enough to make you your own EDITABLE file for a printable Days that Changed Everything! You will download the print as normal, but when you open it up you will be able to go in and add what makes your love story special! 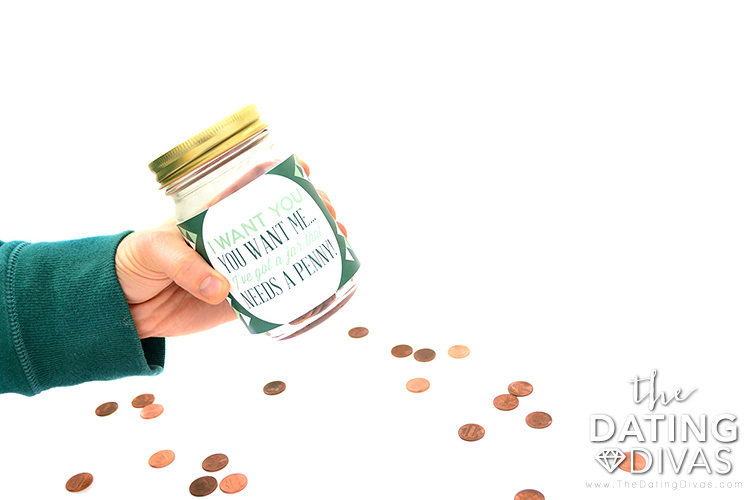 We started with our birthdays and ended with the day we said “forever!” Then you find pennies that were minted during that year! It was really fun to see the different patinas that each coin had. For more ideas that won't cost you much try one of our favorite At-Home dates, the This or That date night. And you if loved a date where part, or all, of it was in the car, the Cozy Car Date is made for you! LOVE the “Days that Changed Everything” print!! Thanks for making it editable! 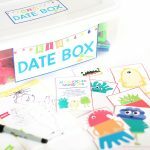 I seriously LOVE this date idea! So cool that the printable is editable!! Such a cute and simple date idea! Also love that printable at the end! This is seriously the CUTEST date! I love how simple it is to do!!! Even without a babysitter… SUPER easy to pull off! We just did this date night and it was awesome! We modified it slightly but it was a total hit! Love that you can make it your own! This is going to be so much fun. And I love the “Days that changed everything”. It will be a time to take a step back to memory lane. It’s so sweet! And it’s a little challenging finding the correct years – a mini treasure hunt! What a fun idea! We seriously have the hardest time figuring out what to do sometimes. I love this idea! This definitely helps take some of the decision out of it 🙂 Have fun! Sadly we will no longer be offering our monthly love calendars on our site 🙁 BUT we recently started something SUPER similar but in some ways even BETTER! Our 10 Minute Marriage Challenge is a texting service that will send you quick cute ideas to love on your spouse over a three month time period! We will be opening up registration next month! 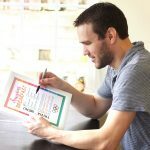 We also have a new AMAZING product in our store 365 Ways to Rekindle the Spark (https://www.thedatingdivas.com/365-ways-to-rekindle-the-spark/) It helps you create your own love calendars for an entire year! How fun! I’m so glad you enjoyed it. Thanks for sharing your video!